I am grateful for the opportunity to share more about my energy healing practice! If you have come to this website, then you must be looking for a solution to your particular need for healing, whether it be a physical illness or condition, stress, or emotional balancing. My mission is to enhance the quality of life of each individual by facilitating healing of the whole person in body, mind, spirit and emotion through focused, intentional, heart-centered care, and continuing education for awareness and care of the Self. Heart Centered Healing Touch offers integrative care for those needing more support in their healing journey. I invite you to explore the services I have to offer and I encourage you to contact me with any questions you may have. 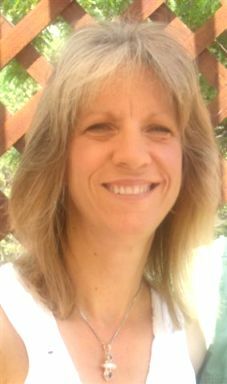 It is my passion to not only provide soothing, nurturing healing sessions, but to also educate you on self-care with information based on my 15 years of experience in the healing arts. Sessions and classes are offered regularly, and can be customized to your unique situation. Charter Member of the Healing Touch Professional Association (HTPA). Healing Touch Program is 1 of 10 programs endorsed by American Holistic Nurses Association. 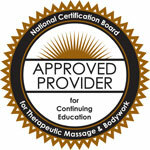 It is approved by the National Certification Board for Therapeutic Massage and Bodywork (NCBTMB) as a continuing education provider. 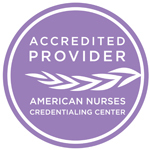 Healing Touch Program is also an accredited provider of continuing nursing education by the American Nurses Credentialing Center (ANCC). ANCC is the world's largest and most prestigious nurse credentialing organization and a subsidiary of the American Nurses Association (AMA). Healing Touch Program is the first Energy Medicine education provider to achieve this status. Healing Touch Practitioners must pass a national certification test through ANCC in addition to completing all requirements for Healing Touch Program Certification in order to claim the status of Healing Touch Certified Practitioner.